There’s a very nice lady who lives in the street and she has a baby and is about to have a new one and she said that she likes my calmness and if I wrote a book on kids she would read it. Or if I took a class she would come along, or something. Maybe she meant if I held a TED talk and it was kind of awesome and it went viral then she would listen to it. Something along those supportive, social media-related lines. So, anyway, I thought about that, especially in the wake of yesterday’s Tubegate, which happened just as we waved goodbye to her and we strolled along to Lancaster Gate to get the tube to the Borough Market to buy delicious things and to celebrate the end of a very successful Easter holiday. I was wearing the ruined Cherry Lush and a silk bomber jacker with dragons embroidered on it, and I had asked Mark as I left the flat if the jacket wasn’t a bit too excellent to be brandishing casually about, and he said with the flick of his eyebrows (which is kind of his way of answering me all the time – one flick means all, and requires not much work, and I can take from it whatever I fancy -) that it was truly excellent, but perfectly appropriate for a Friday strut. So it all started off so well, as these things tend to do. We got to the tube and managed the central line to Bond Street, and should have happily sat until London Bridge, but Ned and Casper did a musical chairs thing where they both ran for the seat next to the plexiglass barrier at the end of the row, and Casper got there first, and Ned went mental, absolutely batshit crazy, and Casper hit back. They were like dogs, pulling hair and screaming and crying and biting each other and throwing wild punches, kicking and shouting at each other to get off the seat and not to touch the shared armrest, and it was extremely ugly, extremely quickly. I had the other two and the baby in the buggy, so I put the brake on and tried to separate them, and pulled Ned away but his legs went limp and so I was left crouching over him in the juddering train with one arm on him and the other steadying the swinging buggy while Casper cackled with glee. Most of the people in the carriage were kind of laughing, kind of sympathetic, and Ned wriggled away and went right back to the fight and started throwing his fists around again and wailing. There was a woman sitting across from them who was trying to finish a game of Candy Crush, and she was obviously horrified and entirely inconvenienced by the violence. She would look up at the boys from the phone screen every few seconds, then up around at the other onlookers in the carriage clearly trying to meet the eyes of another similarly horrified person. She wanted some support in the crowd, someone to reassure her that what she was witnessing was unacceptable. She wouldn’t look at me, just at everyone else, with the most awful cranky outraged righteous face on. I was DYING inside, and trying to calm them down and kind of trying to laugh it off, but failing, and this big scary unhelpful ladyjudge watching us with such disapproval was putting me off my game. So, I tried ignoring them both for a bit, in a shruggy kind of ‘whatcha gonna do? BOYS’ kind of way but the fighting was only escalating, and London Bridge was still about three stops away. I thought it was time to pull Casper away from the seat to stop the Crazy and to keep the mean lady from videoing the mentalness and sending it on to social services because that’s the fear, right? I was shaking with my rage and fury and embarrassment and my total lack of control. 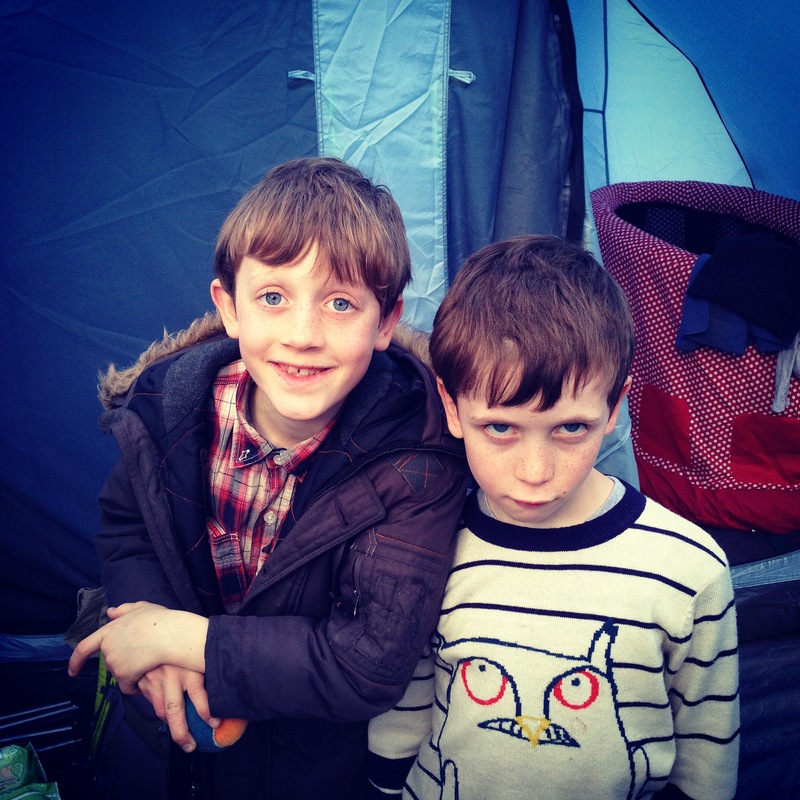 I did quite a bit more of unhinged tube shouting, and went on and on in a wobbly voice about how terrible they had been, and when we got to the market I told Barnaby and Noah to choose all the smoothies and brownie they wanted, but Casper and Ned could only have water. Then Ned cried and said he was hungry, so I said he could only have half a roasted pork belly roll, but nothing else nice at all, and they should remember that angry mothers don’t give their kids overpriced artisanal products. That’s a natural consequence and an inherent parental rule, kiddos. Then I relented because I am as firm as an overripe brie and as consistent as the Circle Line (read: not firm and not consistent) and I said Casper and Ned could buy a brownie for later if they improved and stopped being embarrassing and violent. That’s a stupid 360 right there, folks. What did they learn? Probably nothing. And it all nearly ruined me, once again. So I had better not do any TED talks because my kids are appalling in public and I am pretty crap at dealing with it and I have no wisdom to impart, just another story to tell of bruised flesh and incandescent fury. Also, we went camping last week, which was colder than I thought, but also much nicer than I thought. 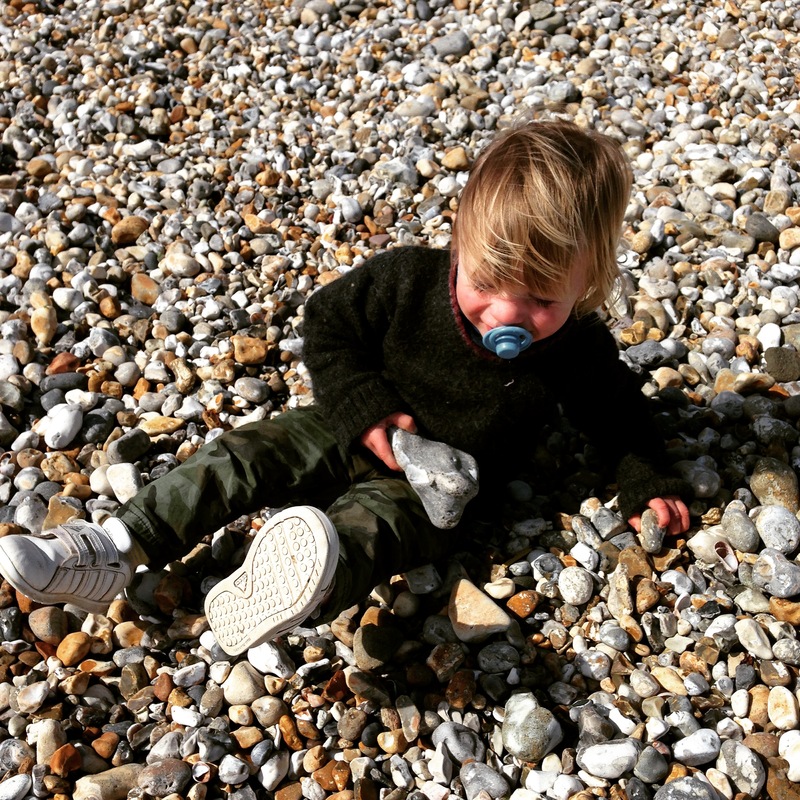 And the baby had a proper barber’s haircut in the same 70’s vein he seems predestined for. 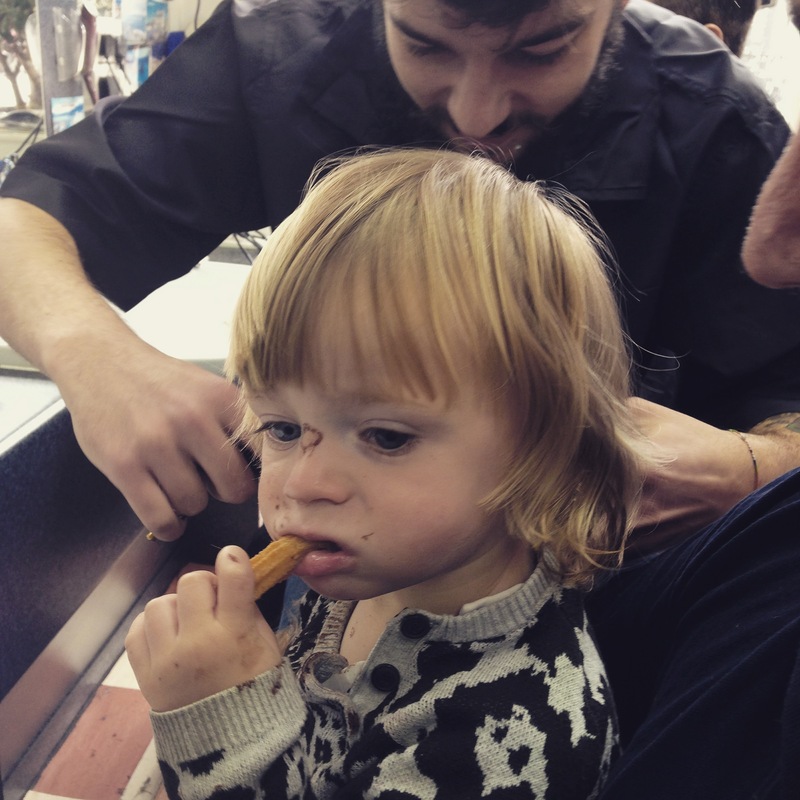 And here he is eating churros at the barber’s. Always something in that kid’s mouth, eh? Just like me about this parenting gig. oh, oh, oh.how dreadul, how really truly awful.we’re at the stage where i’m third trimester with #4 and all the 6 and 4 year old can do is bicker and shriek and howl at each other “YOU STEPPED ON MY FOOT” “GIMME DAT BACK” “MUM SHE LOOKED AT ME” and then i shout at them to STOP SHOUTING and the smallest baby (who is otis’ age) looks at us all with big wide eyes of surprise and i feel bad for letting her think the world is comprised of shouty siblings and their shouty mother. sighhhh. I like your stories so much! Wow. How awful. I have a baby girl who hasn’t learned to walk yet and these are the things that await, for sure. I don’t know what I would have done (either as a fellow passenger or as a mom), but I do remember a particularly awful car ride (awful for my parents) during which my sister and I were basically trying to choke each other. We were going to a favourite aunt’s house and on the way our dad had told us a bunch of times to knock it off (he was driving) but we continued fighting and screaming. He then proceeded to exit the highway and TURN AROUND. When we realized what was happening it all went dead silent and then I remember feeling just sick inside because we were going home. It worked. We never, ever ever did anything like that again. And boy do we remember that. I had friends who suggested that I should have just got off the tube and taken them home. I think maybe I could have gotten off and then just sat them down and shamed them for a bit, then got back on when the mentalness departed. It takes a lot to walk away from roasted pork belly. But what a lesson! Yay your dad! Oh my, I feel for you. That must have been awful, especially with the scary judging lady. But I had to laugh about the artisanal products. My kids are past the age of public tantrums, but they do other appalling teenage things.